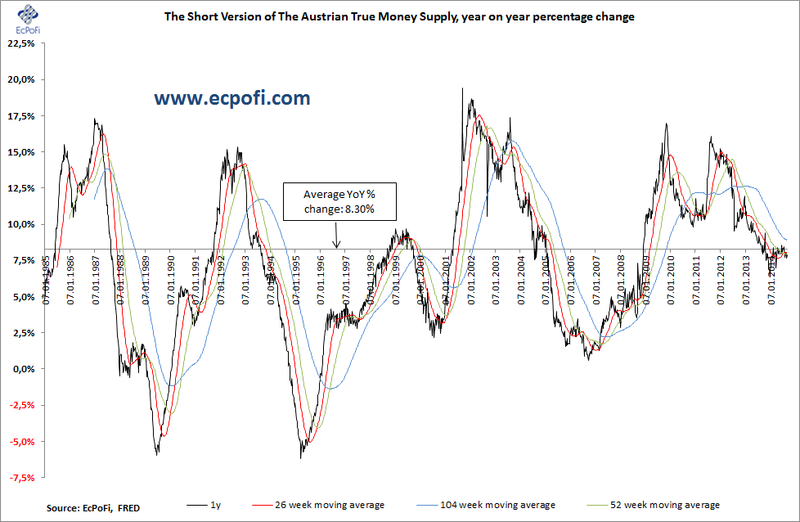 The short version of the Austrian True Money Supply for the U.S., the measure of the money supply applied in this weekly report, increased 0.68% on last week for the week ending 8 September 2014. At $10.3174 trillion, the highest ever recorded, the money supply is now up 4.44% year to date. The year on year growth rate in the money supply increased to 7.91%, up from 7.64% last week.